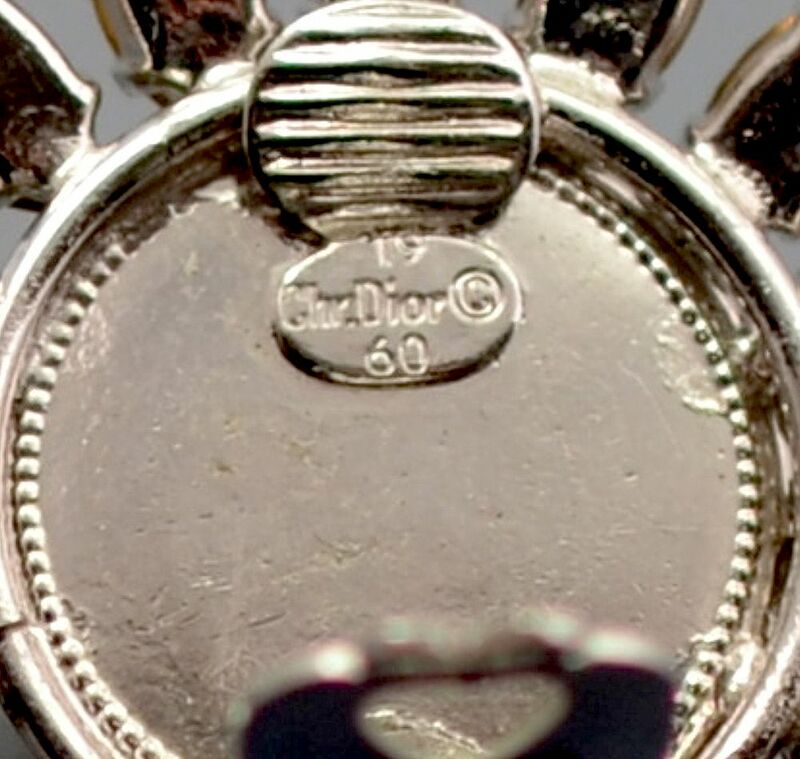 These fabulous clips earrings were made in 1960 for Christian Dior. 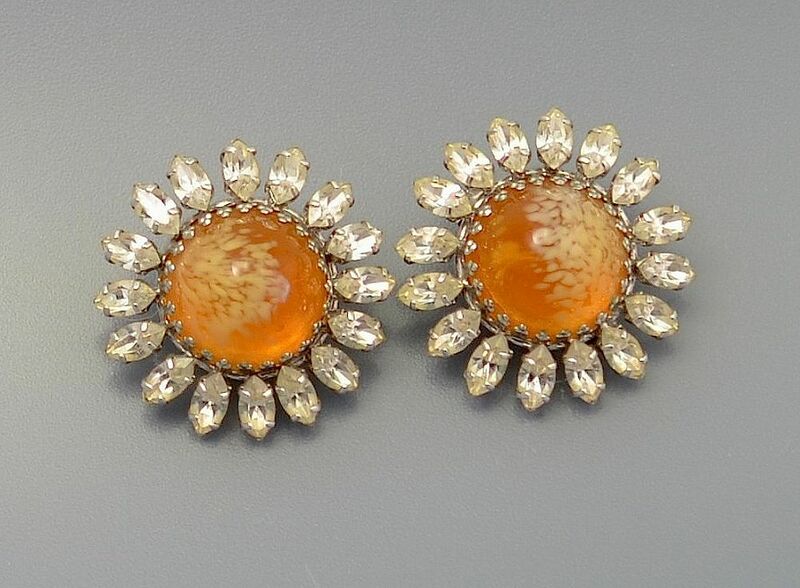 They resemble marguerite daisies with a faux amber-colured paste sugar loaf cabochon in the centre surrounded by white marquise shaped paste "petals". Signed and dated on the clips these earrings are classic Dior.